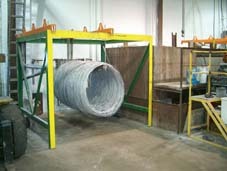 Stelinox Industries Inc. is a manufacturer of stainless steel and nickel alloy wires. Established in 1992, it is a family run and privately owned Canadian company. 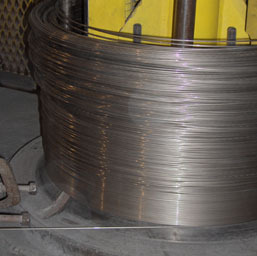 Our product line includes various commercial grades of cold forming wire as well as arc welding electrode core wire. 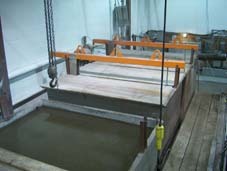 We are tailored to supply both large and small customers. Our size and flexibility allows for quick response and change over. We can therefore offer competitive pricing, fast deliveries and above all, excellent quality. 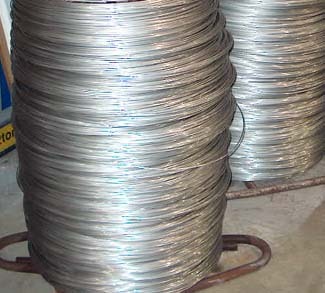 In fact, we are most proud of being the principal supplier of arc welding electrode core wire to Sodel Ltd, Canada's largest manufacturer of stainless steel and specialty arc welding electrodes. In addition to supplying high quality wire, we also provide wire drawing services to those customers who wish to supply their own rod. This allows customers to control costs and inventory by having off site warehousing of rod and scheduling the delivery of finished product when needed. Centrally located, in Drummondville, Quebec, we are within one hour of Montreal and two hours from Quebec City. We have rapid access to both Highways 20 and 55. Furthermore, we are conveniently situated within one hour of the U.S border (Derby Line, Vermont).